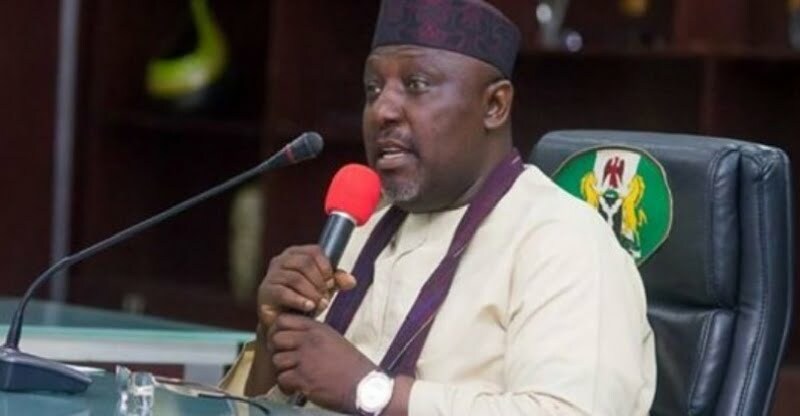 The Governor of Imo State, Rochas Okorocha has revealed his problem with the National Chairman of the All Progressives Congress, APC, Adams Oshiomhole. He said this during a meeting with APC Reconciliation Committee led by the Governor of Kano State, Abdullahi Ganduje in Owerri, the state capital, yesterday. According to Okorocha, Oshiomhole gave the partyâ€™s tickets in the state to people who are not members of APC. He said: â€œThere shouldnâ€™t have been a crisis in the party because of the affinity of the members. We are like one big family. When we came in 2011, it was a miracle. â€œThe who-is-who in Imo politics were against us, but we won that election. We moved from the All Progressives Grand Alliance (APGA) to APC because of the name of President Muhammadu Buhari, which is synonymous with integrity. I am a foundation member of the APC. I suggested the name APC. â€œWhen we started, we were called names; we were made to look like aliens in our state. This is the only state you have elected office holders that are of the APC extraction. â€œThose Adams Oshiomhole gave the tickets were not APC members. The worst political injustice in the history of Nigeria happened in Imo. â€œThe only reason these people are here is because of President Buhari, not because they have benefitted. The issue we have is with Adams Oshiomhole. He stole the mandate of the people and gave it away for reasons best known to him. The people here are concerned because the name of the person on APC ticket is not the candidate of their choice. â€œLet me make bold to say that this is not about the people here but across the breadth of the state. The name you hear is Uche Nwosu. But for me, all the speculations that I am leaving APC is not true.